Swf to 3GP Converter is absolutely a flash converter which can convert swf to 3gp, swf to mpeg4 and view them on your mobile phones. It is not only a powerful utility that convert Flash to MPEG4, Flash SWF files to 3GP, but also support converting swf to iPod, swf to PSP video. 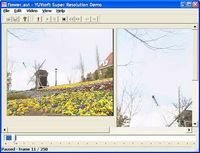 With the great swf to 3GP/MPEG4 Converter, you can easily turn your Flash videos into memorable projects on handheld devices such as Apple iPod, Sony PSP and Mobile Phone. 1. Convert Flash Swf movies to 3GP, MP4, PSP, iPod, MPEG4 formats with high quality. 2. Show Flash Swf videos on your Mobile Phone, iPod, PSP has never been simpler! 3. Share your creative wroks with friends on your portable devices.